Here is another pie this time it's peach. Open for Business is still required, because it was cloned from Berry Pie. 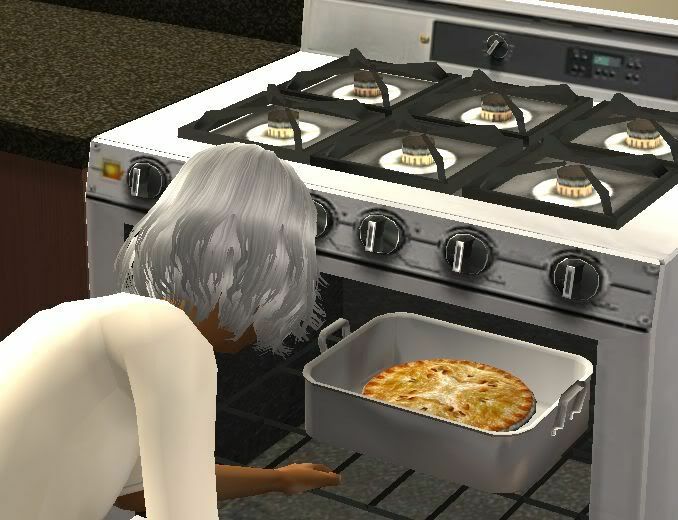 A good amount of cooking skill for your sim is also required. 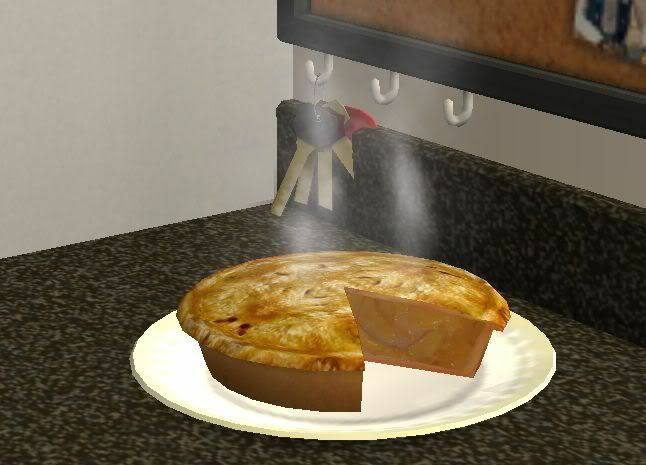 It's only available for lunch and dinner, and is found in your sim's fridge under serve dessert.../Peach Pie or have dessert.../Peach Pie. Enjoy!